Hi, I’m Aaron Davis. 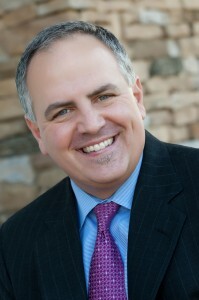 I’m the Founder and President of NextLogical Benefit Strategies, LLC, the Co-founder and CEO of Our Clinical Team, LLC and, most recently, the Founder and CEO of Switchbridge, LLC – three companies dedicated to improving the health and well-being of employees and, in turn, saving employers huge amounts of money in health insurance premiums and claims. My employee benefits education was gained working in the trenches for such respected firms as CIGNA, FirstHealth and The Mather Companies (now BenefitMall). I’ve also worked extensively in health information systems as the Assistant Director of Operations and Management Information Systems (MIS) Manager for a national health maintenance organization (HMO). While all aspects of employee benefits are of interest to me, self-funding, HRM/Wellness, employee engagement and decision support systems are the areas I enjoy the most. 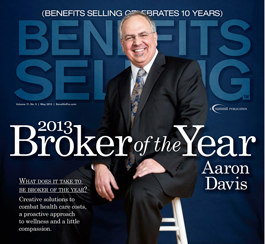 In 2013, I was named Broker of the Year by Benefits Selling magazine. What was so special about this award is that I had to be nominated by my clients and selected by my peers as their pick for the best broker in the nation. Wow, what an honor! Of course, the real “Broker of the Year” is our entire staff at NextLogical – a group of exceptional professionals I am immensely blessed to work with every day. 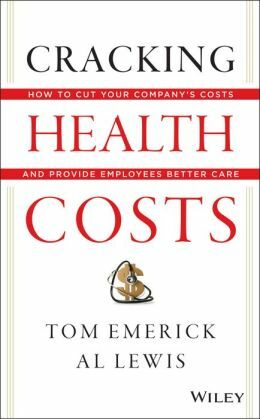 Our unique approach to HRM, wellness and 100% client satisfaction, also caught the attention of Al Lewis and Tom Emerick who invited me to participate in their book, Cracking Health Costs. Al also asked me and two of our clinicians to work on his Wellness-sensitive Medical Events committee which is the first attempt ever to introduce the basic biostatistical concept of causality into wellness outcomes measurement. On the personal side, I’m a graduate of Western Maryland College (now McDaniel College) with a Bachelor of Arts (BA) degree in Political Science/Pre-law and Business Administration. I’ve also done post-graduate work at Florida International University and Villanova. I serve as a Co-Chairman of The Stacey Davis Breast Cancer Fund Grant Review Committee which provides much needed financial support to breast cancer patients in honor of my first wife, Stacey, who passed away from the disease in 2002. Today, I’m ecstatically married to my wife Jenny (“happily” didn’t cut it…). We have four sons: Stephen, Michael, Greg and Christian. I enjoy spending time with my family, serving at our church, reading, exercising and playing indoor soccer. Lastly, I’d love to share ideas with you about improving our healthcare system and making health insurance more affordable. I hope you’ll share your comments with me on this blog and maybe we’ll have a chance to meet someday.